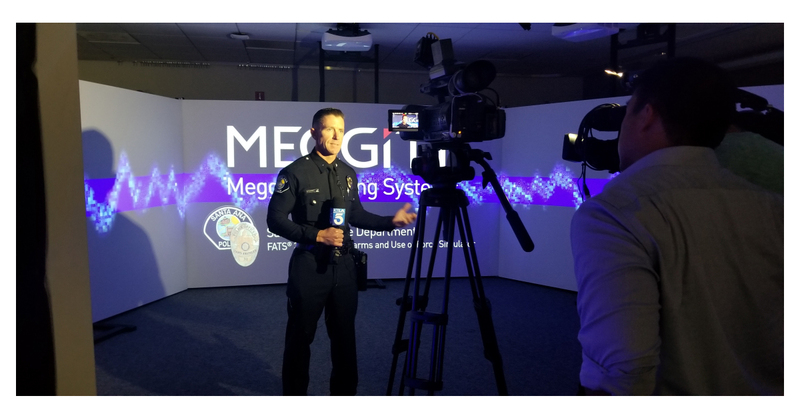 SANTA ANA, Calif.–(BUSINESS WIRE)–Meggitt Training Systems announces the launch of test and evaluation with the Santa Ana Police Department for Meggitt Training System’s (Meggitt) FATS® 300LE. The FATS 300LE immersive virtual training system delivers virtual scenarios that train police officers in the split-second, use-of-force evaluations and de-escalation tactics they need to deploy in real-world situations. “We are pleased to work with the Santa Ana Police Department and provide them the opportunity to train their officers using the FATS 300LE, the next-generation immersive virtual training system. The FATS 300LE will help officers improve their reaction time under simulated dangerous situations, sharpening their judgment and decision-making skills,” said Matt Cunningham, Director of Virtual Systems, Meggitt Training Systems. “We are honored to be chosen as the first Police Department on the West Coast for the launch of test and evaluation with Meggitt Training System’s newest FATS 300LE. Training is absolutely imperative, and Meggitt’s virtual training system will allow us to better prepare our officers effectively and efficiently,” says Commander Mat Sorenson.